We only use high quality 260 GSM Paper, giving you a superior print/poster ready for framing. 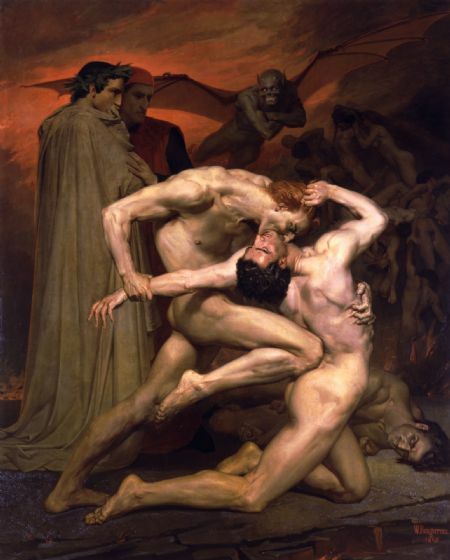 As a young man, Bouguereau put himself through the Ecole des Beaux-Arts by keeping books for a wine merchant and coloring lithographic labels for a local grocer. In his spare time, late in the evening, he created drawings from memory. This diligence and discipline resulted in an extrordinarily productive artistic life. 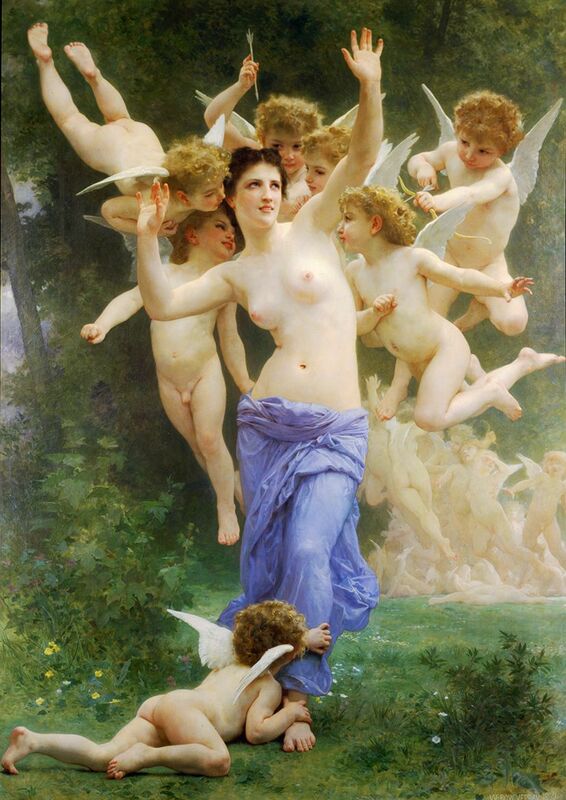 Bouguereau produced more than seven hundred finished works and achieved a remarkable level of public acclaim and financial success. He never forgot his difficult early days, however; working secretly, he assisted young artists who were struggling as he had to pursue an artistic career in the face of financial difficulties. 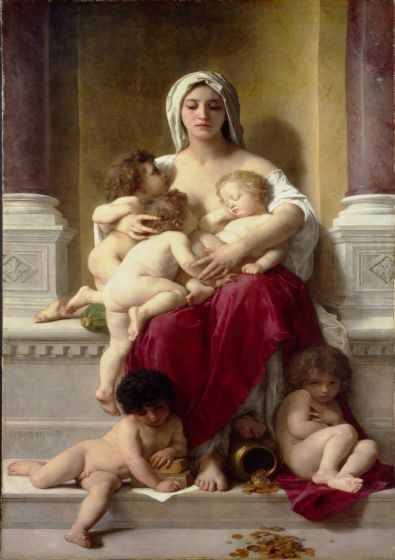 Like many painters of the second half of the 19th century, Bouguereau made a careful study of form and technique and steeped himself in classical sculpture and painting. True to his serious and industrious nature, he worked deliberately and industriously: before beginning a painting he would master the history of his subject and complete numerous sketches. 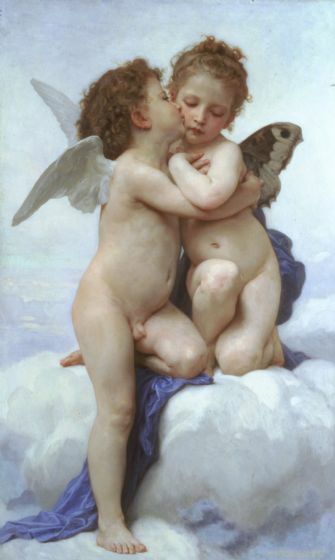 The tenderness with which he portrayed children and domestic scenes, his technical skill and passion for the classics, and his love of rich color are hallmarks of Bouguereau's exquisite paintings.